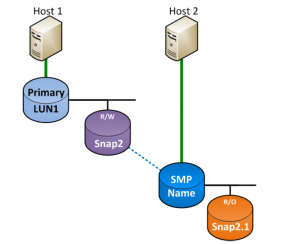 One of the VNX Snapshot use cases is to promote a snapshot to be a standard LUn. 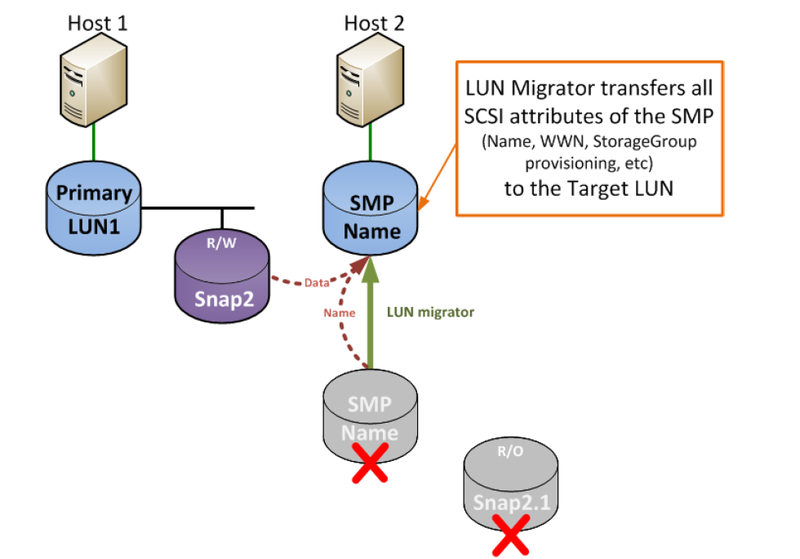 To do that, the snapshot must be attached, and then the SMP (Snapshot Mount Point) can be migrated to another LUN. IF a migrating SMP has any snapshots associated with it (for example Cascading Snapshots), all of them will be destroyed. 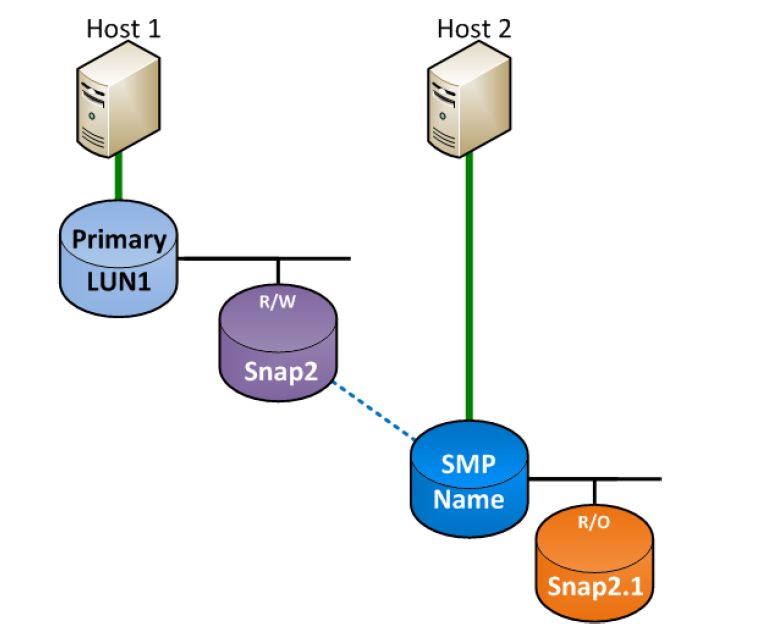 Host1 is a production server running an application with PrimaryLUN1 provisioned.